Suzy Henderson was born in the North of England, but a career in healthcare took her away to rural Somerset. Years later, after marriage and children, she decided to embark upon a degree in English Literature with The Open University. That was the beginning of a new life journey, rekindling her love of writing and a passion for history. With an obsession for military and aviation history, she began to write. It was an old black and white photograph of her grandmother that caught Suzy’s imagination many years ago. When her grandmother died, her tales of war vanished with her forever, tales she never spoke about. When Suzy decided to research her grandmother’s war service in the WAAF, things spiralled from there. Stories came to light, little-known stories, and tragedies, and it is such discoveries that inform her writing. Having relocated to the wilds of North Cumbria, she has the Pennines in sight and finally feels at home. 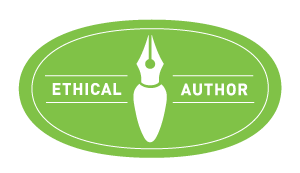 Suzy is a member of the Historical Novel Society and the Alliance of Independent Authors. "The Beauty Shop" is her debut novel and was released 28th November 2016.